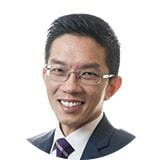 Hon Cheong has extensive experience in dealing with a wide range of employment matters for corporate clients. From the advisory and transactional perspective, he has advised on employment issues in some of the largest merger and acquisition projects in the country. He works closely on a regular basis with international law firms and multinational organisations, dealing with employment issues for Malaysia in global or regional corporate exercises. His advice is often sought for matters that include employee movement in M&A exercises, employee mobility such as transfers and secondments, reorganisation and restructuring exercises, headcount reduction or retrenchments and mutual separation schemes. He also on a regular basis deals with individual employee issues such as poor performance, misconduct in employment and conflicts of interests involving employees at high levels of the organisation. From the litigation perspective, Hon Cheong is a well-regarded and regular personality at the Industrial Court conducting cases for a wide range of corporate clients. He also has extensive experience in handling judicial review proceedings and appeals at the Court of Appeal and the Federal Court. His litigation experience cuts across a wide range of employment matters that include unjust dismissal claims, trade disputes and collective bargaining. Hon Cheong has also participated in a number of speaking engagements on employment laws, including at conferences organised by the Malaysian Employers’ Federation and the Singapore Business Federation. He also regularly contributes articles to international and regional publications working in tandem with foreign law firms. After being called to the Bar in 1995, Hon Cheong commenced his practice as an Advocate and Solicitor with the firm of Ng Yook Woon, Andrew T.C. Saw & Company. He joined the Zaid Ibrahim & Co. (a member of ZICOlaw) in 2003 and became a partner of the firm in 2006.